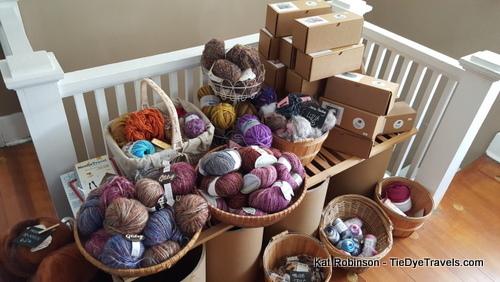 All The Yarn: Pulling Strings at Nomad Yarns in Plainfield, Indiana. 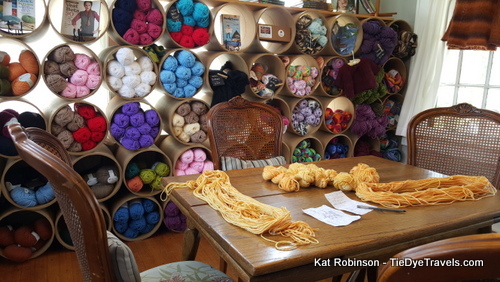 A 19th Century home holds within its walls a vast collection of yarns of all sorts. 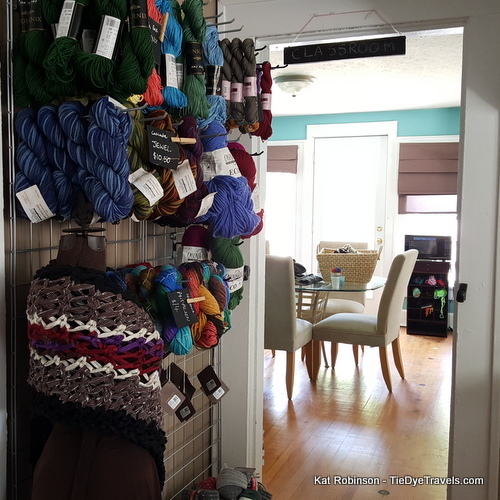 Let's go take a look inside Nomad Yarns in Plainfield, Indiana. Full disclosure: I don’t know a jot about crochet or knitting, but I know this gray lady along US Highway 40 is a gorgeous building. It was constructed in 1890 and was once where Edward Jones Investments was located. 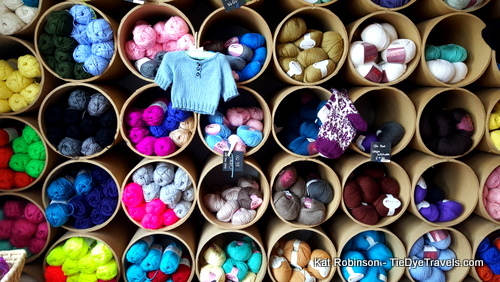 Today, it's a fiber arts wonderland. 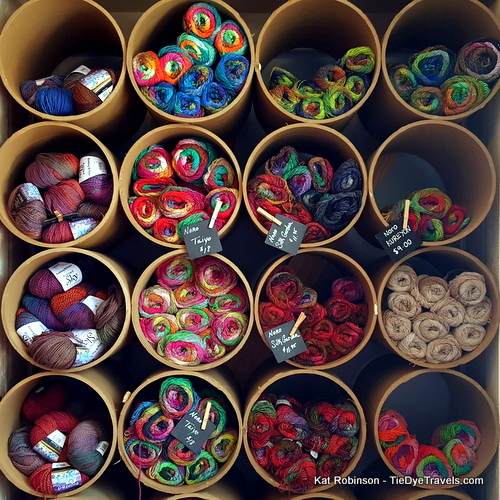 All the yarn at Nomad Yarns is organized by thickness. 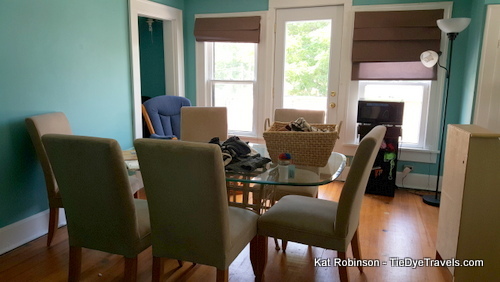 The front room has bulky cords and thick yarns. The front room is where you'll find all sorts of patterns. They're also available on Ravelry. The shop carries all sorts of yarns from all over, including some manufactured right in Indiana. There's silk, cotton, wool and even alpaca available. 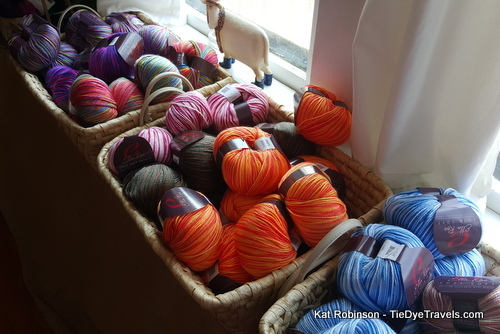 These Noro yarn skeins are from Japan. 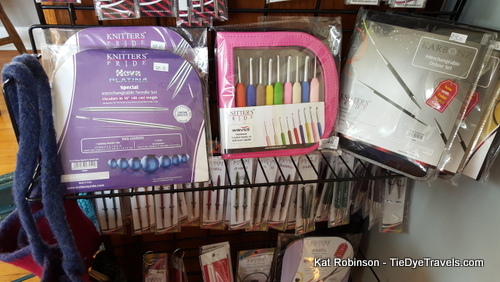 Nomad Yarns carries all the tools you need to knit or crochet. 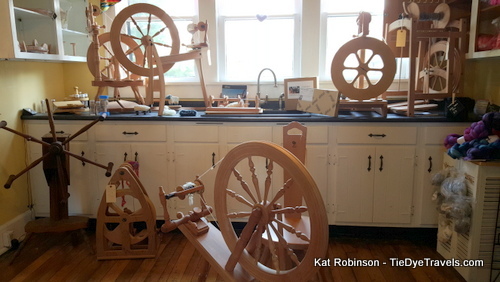 The shop also has spinning implements along with wool and such for spinning your own. 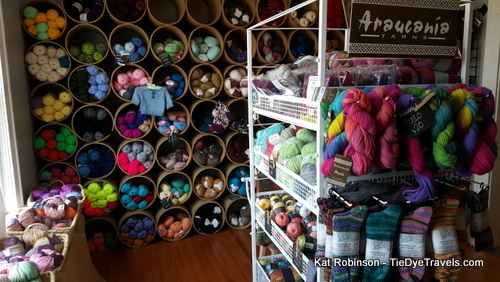 Upstairs at Nomad Yarns, you’ll find sale yarn and a classroom. 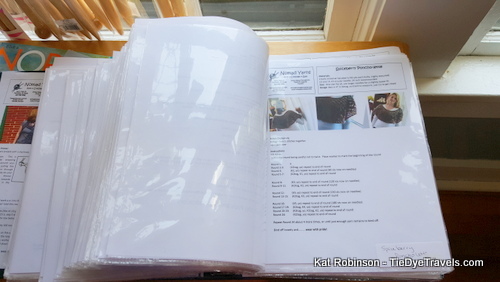 I was invited back for a beginner’s class on Thursday. There's even a 20 percent off section upstairs. 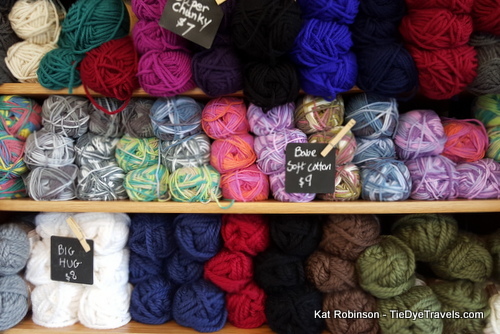 Nomad Yarns is open every day except Monday. It's located at 218 East Main Street in Plainfield, Indiana. 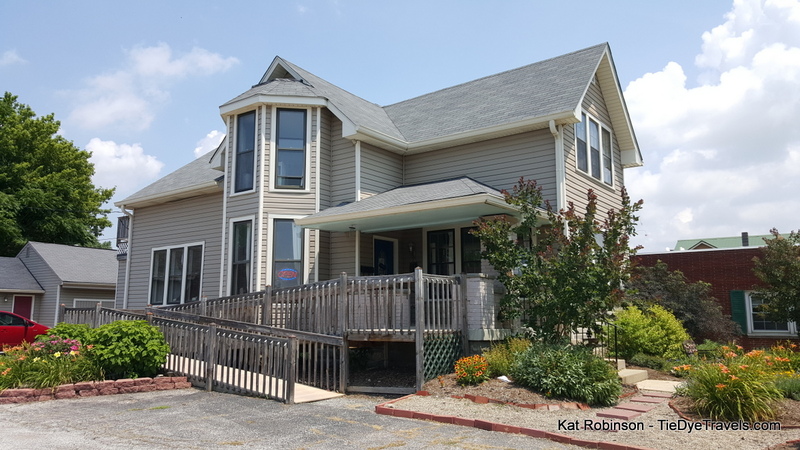 If you'd like more information, call (317) 742-7456 or check out the website.